Movers insurance may seem like a luxury, but the costs of replacing or repairing your stuff can add up quickly. 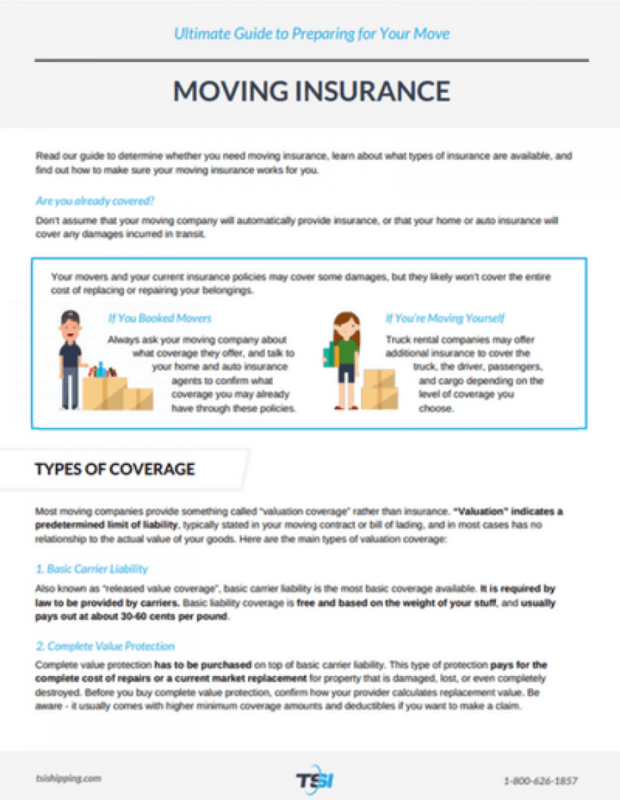 Read our guide to find out if you need moving insurance, learn about what types of insurance are available, and more. When you’re looking for ways to keep the cost of your move low, moving insurance can seem like an unnecessary expense. However - while an average of 15% of shipments incur damage across the moving industry - the basic coverage provided by your movers or your normal home or auto insurance likely won’t cover the full cost of your stuff if it does get damaged in transit. Exclusions - what can't be insured? Many people assume their moving company will automatically provide insurance, or that their home or auto insurance will cover any damages incurred in transit whether you book movers or rent a truck and move yourself. While your movers and your current insurance policies may cover some damages, they likely won’t cover the entire cost of replacing or repairing your belongings. And if you’re moving for work, your employer won’t be liable either (unless explicitly stated otherwise). If you’ve booked movers, always ask your moving company about what coverage they offer, and talk to your home and auto insurance agents to confirm what coverage you may have through these policies before you buy extra moving insurance. If you’re renting a truck and moving yourself, truck rental companies may offer additional insurance to cover the truck, the driver, passengers, and cargo depending on the level of coverage you choose. Most moving companies provide something called “valuation coverage” rather than insurance. What is valuation coverage? “Valuation” indicates a predetermined limit of liability, typically stated in your moving contract or bill of lading, and in most cases has no relationship to the actual value of your goods. Also known as “released value coverage”, basic carrier liability is the most basic coverage and is required by law to be provided by carriers as part of every job. It’s free and based on the weight of your stuff, and usually pays out at about 30-60 cents per pound. That means for an item that weighs 50 pounds, your mover’s liability would be about $30 - that’s not a lot of coverage if that 50 pound item is a valuable china cabinet. If you’re shipping some or all of your stuff with a freight shipping company like TSI, basic liability coverage for economy shipments is mandated at 10 cents per pound, while white glove shipments are mandated at 60 cents per pound. Learn more about Economy and White Glove shipping. This type of coverage is also required by law, but it has to be purchased on top of basic carrier liability (which should be included in the price of your job). Complete value protection is one of the most comprehensive options when it comes to movers insurance, but not all moving companies offer this level of coverage. This type of protection pays for the complete cost of repairs or a current market replacement for property that is damaged, lost, or even completely destroyed. Before you buy this level of coverage, confirm how your provider calculates replacement value. And be aware - it usually comes with higher minimum coverage amounts, as well as deductibles if you want to make a claim. Assessed value protection is based on the the market cost or value of an item rather than its weight, so this type of coverage is ideal if your property is valuable but doesn’t weigh a lot. When you purchase assessed value protection, you can purchase a certain amount of protection per $1,000 worth of value. Make sure your coverage is written in your bill of lading, or your moving company may not honor it. If you do make a claim, you will need to provide proof of the market price of the item, such as the original receipt, or the price of a comparable item. Each piece you want covered also must be assessed separately; for example, if you want to purchase assessed value coverage for your dining room set, you will need to assess the value of each chair, as well as the table. With this type of coverage, your moving company will take into account the total weight of your possessions, then multiply that by a particular dollar amount per pound. If your stuff is damaged, your settlement will be based on how much the value of the damaged or destroyed property has depreciated. Because it provides blanket coverage of all things, this is often the best insurance for a whole-house move. For high-value items, you might wish to consider adding extra insurance to protect these special belongings. Declared value - the value of your possessions based on the total weight of the shipment multiplied by a specific dollar amount per pound - is an important factor when it comes to buying moving insurance. Figuring out how much your stuff is really worth can be tough, but it’s necessary if you want to ensure that you buy the right coverage. The easiest way to determine the value of an item is to locate the original invoice or find a record of a recent appraisal. If you don’t have access to these resources, you could also conduct an online search on websites like Amazon or Ebay to determine the current value of the same or comparable items. Take photos of everything you want covered, especially valuable or sentimental items. This helps you keep an inventory of your things, and may also be required if you want to make a claim. Add up the number of items, the total weight, and the total replacement value. Help me keep my heavy items safe. Most damage occurs while your stuff is being transferred into and out of the truck, but some moving contracts will specify that the mover isn’t liable for damages that occur in transit, such as settling boxes or if your boxes aren’t packed well and fall over, causing damage to something inside the box or another piece of furniture. Many moving contracts won’t cover damages to your stuff if you packed it yourself. Less than 3% of shipments sent with TSI sustain damage, but across the shipping industry, the average is 15%. Whether you’ve hired movers or are moving most of your belongings yourself, you may also wish to consider purchasing additional insurance if you’re shipping some of your stuff to your new home. Carrier Insurance: Carrier insurance is available for White Glove shipments that cannot be insured with Moving Insurance, such as clocks or pianos, or for shipments which may require blanket coverage. Learn more about shipping insurance. Hopefully your stuff makes it to your new home undamaged and you don’t need to worry about making a claim, but if your shipment does arrive damaged, here’s what to do. Accept the delivery. The party at the delivery location must accept delivery in order to make a claim. Document all damages on your delivery receipt. Report damages to TSI within 48 hours of delivery. We’ll initiate the claims process, and you’ll be contacted by the insurance company within 3-5 business days on average. Be ready to provide proof of damages, proof of value, and a repair estimate. 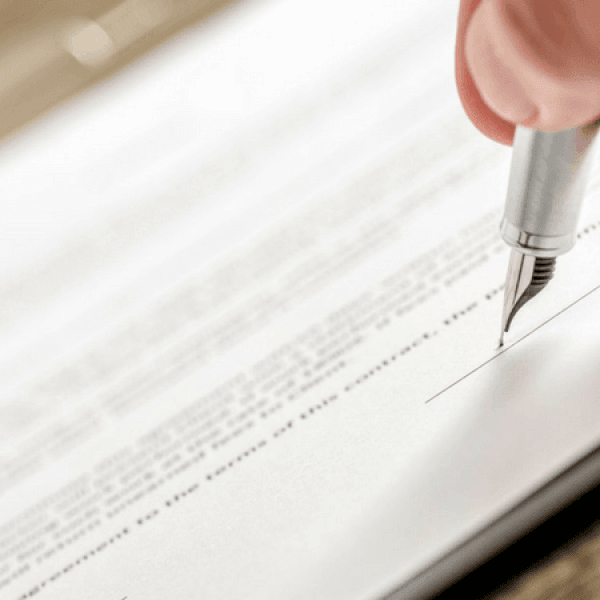 Once all your documentation has been approved, your claim will be processed and typically finalized within 60 business days. Claims are subject to a $100 deductible. Uninsured items are eligible for limited liability claim only.